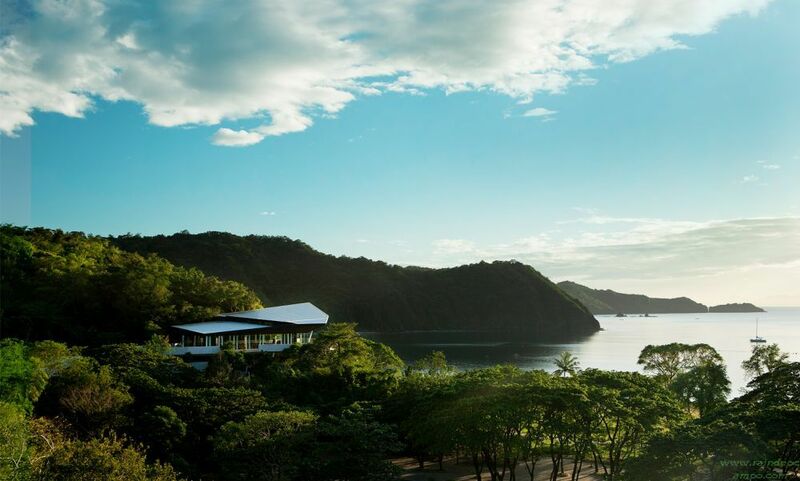 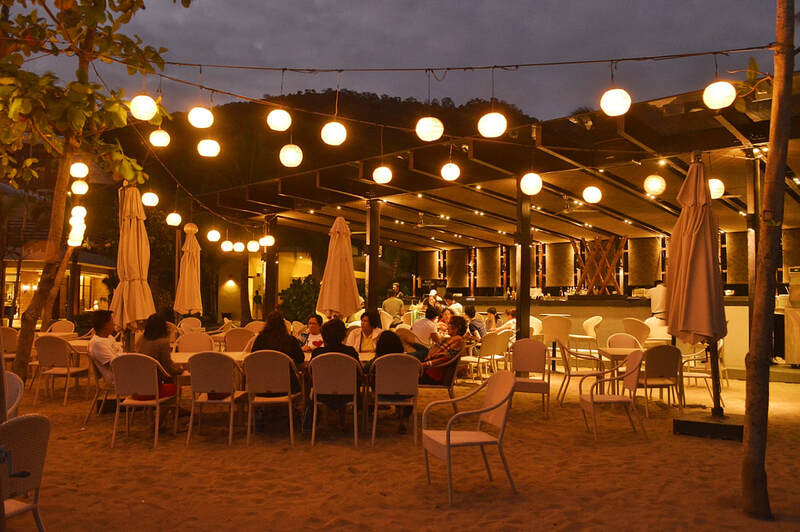 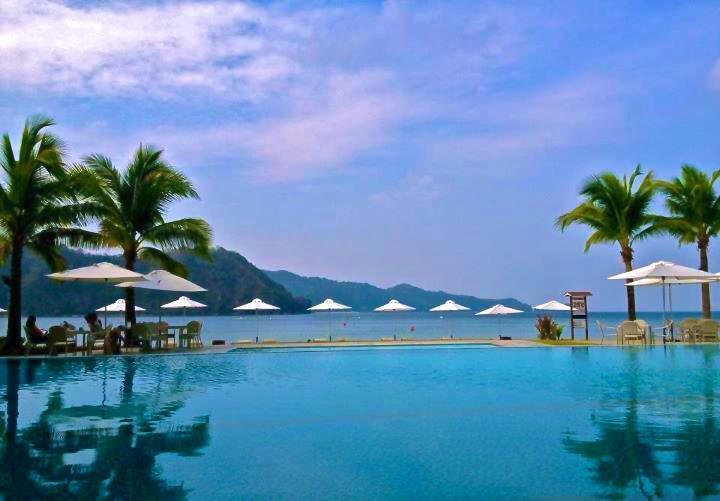 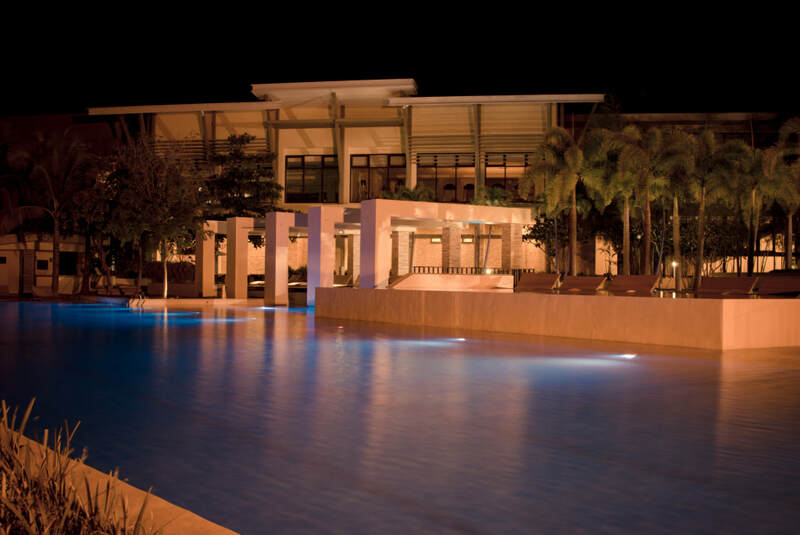 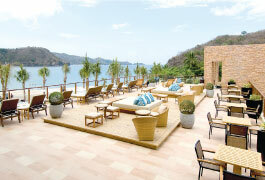 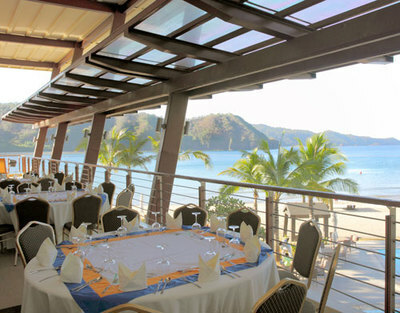 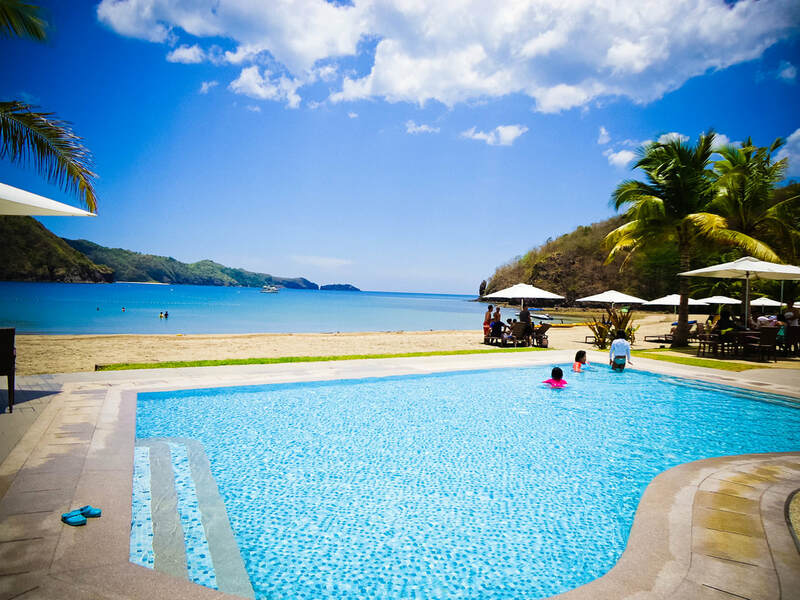 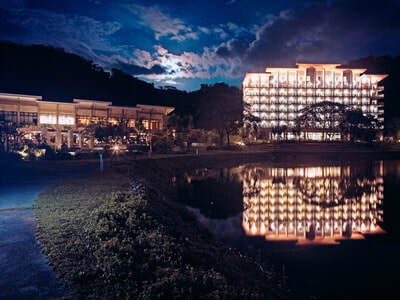 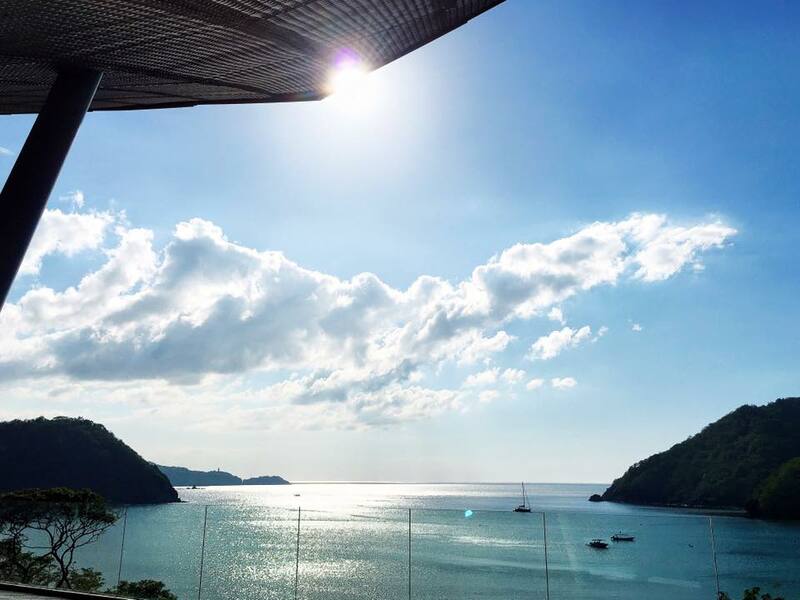 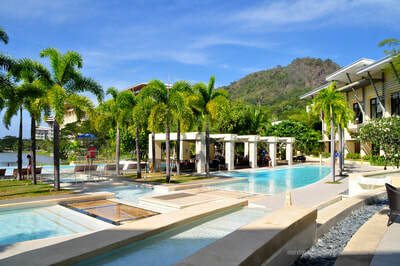 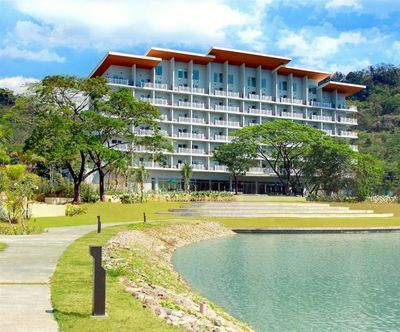 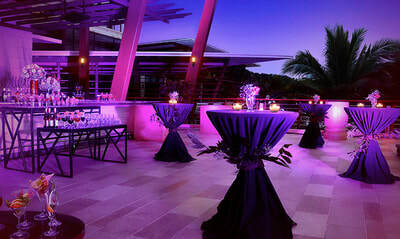 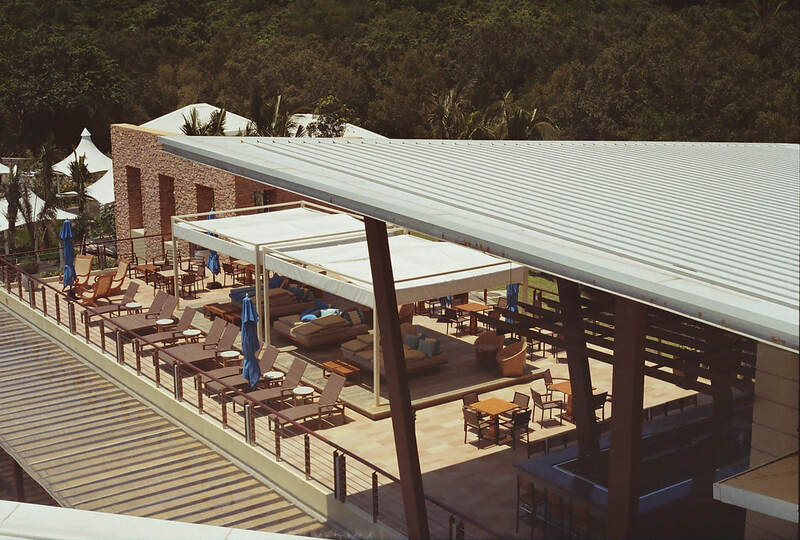 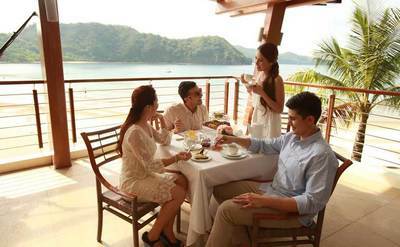 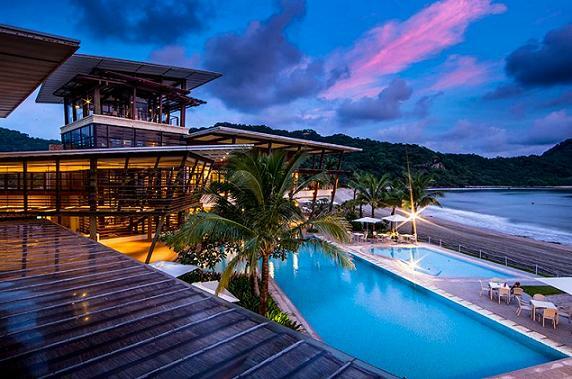 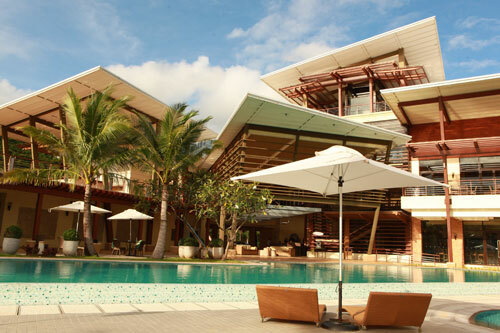 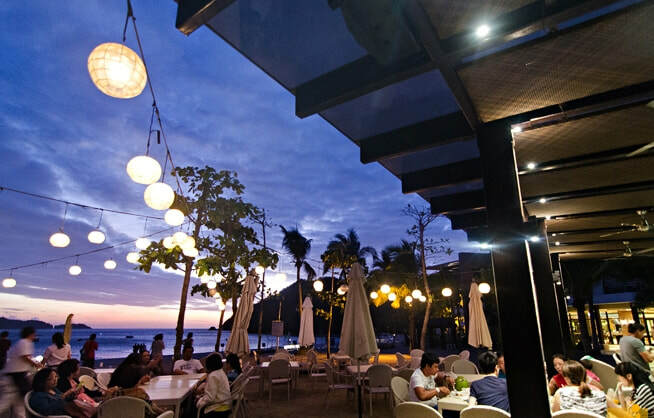 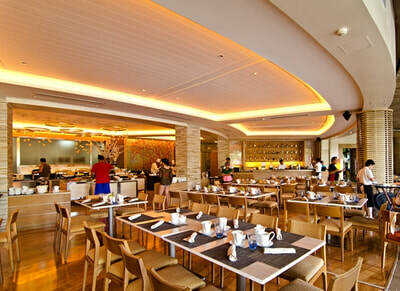 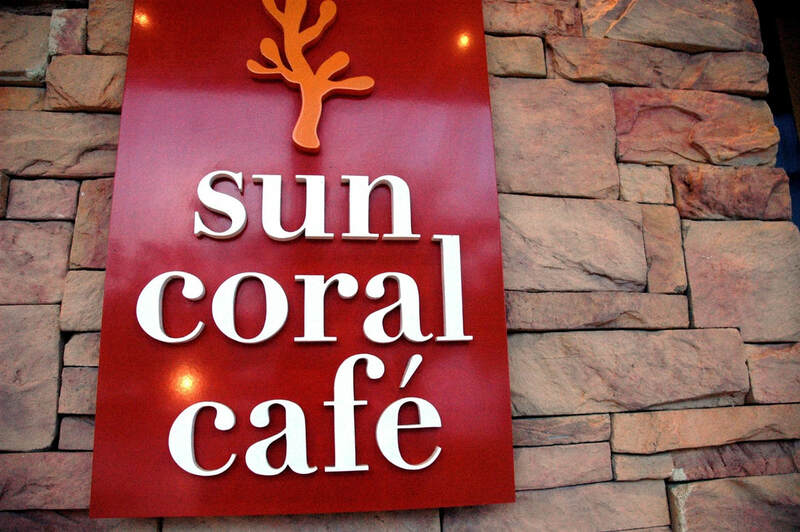 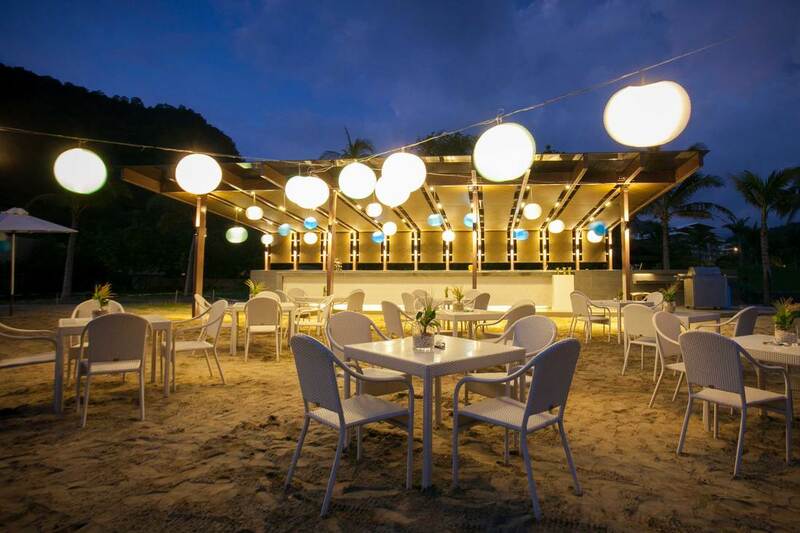 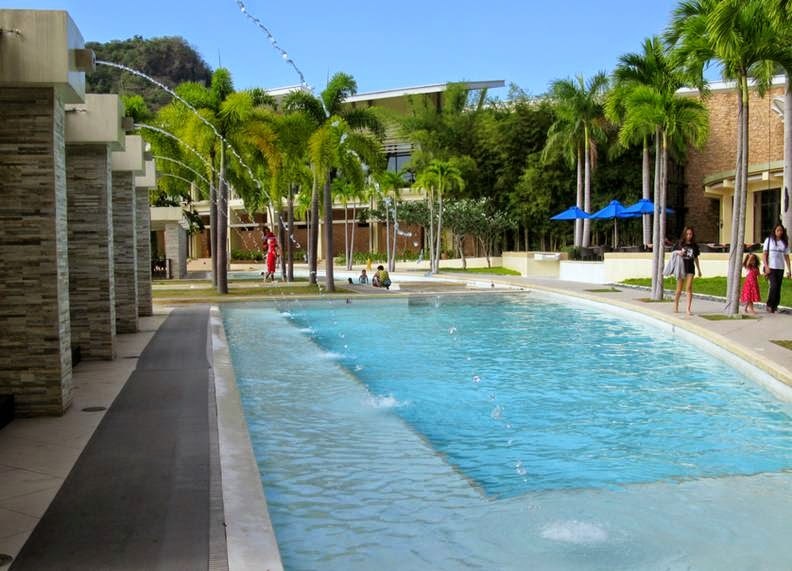 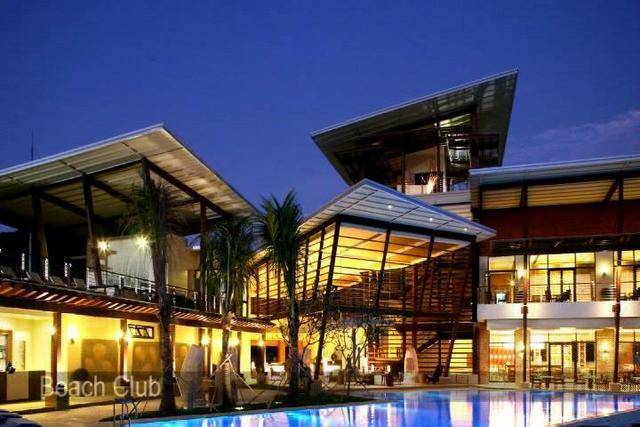 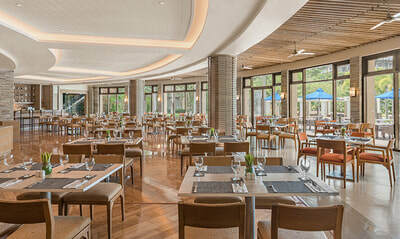 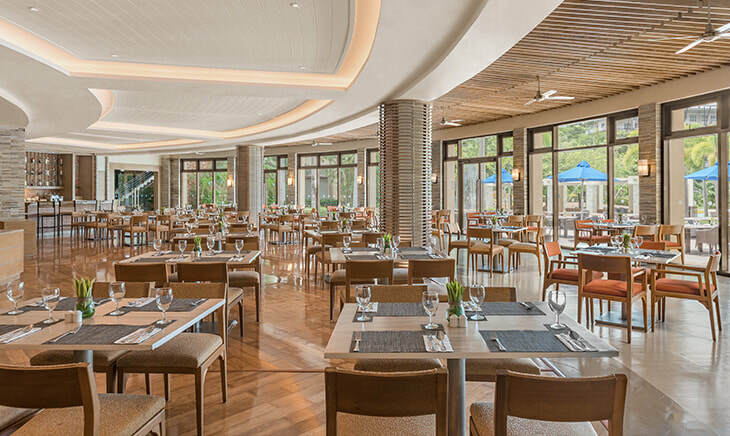 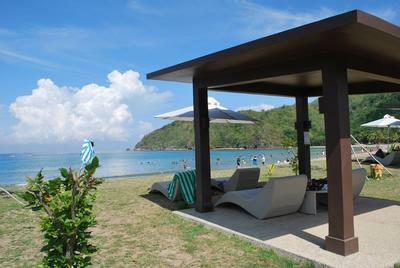 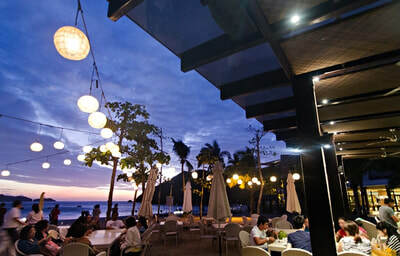 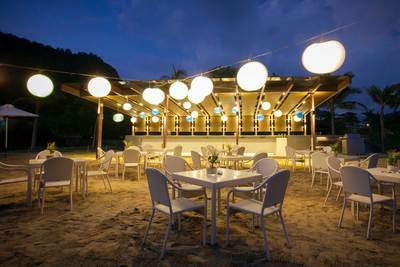 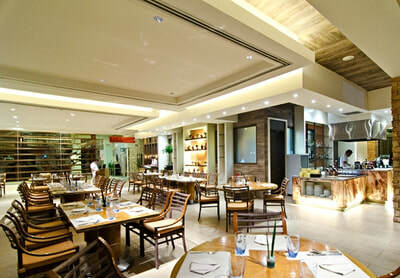 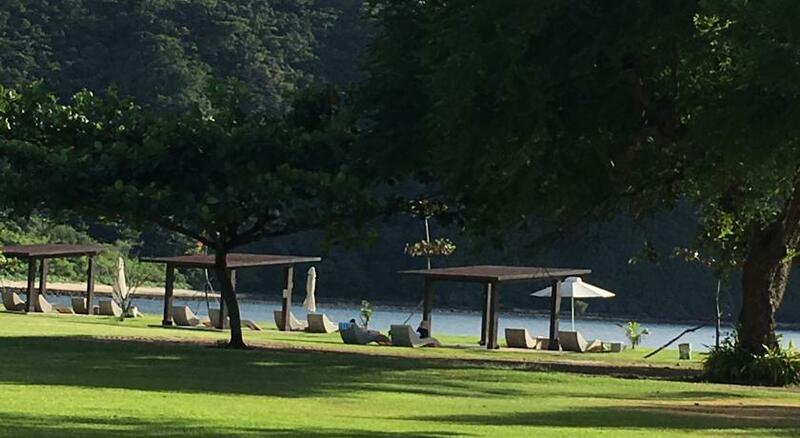 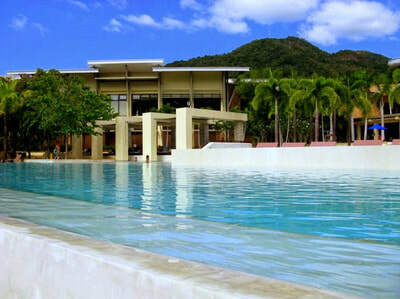 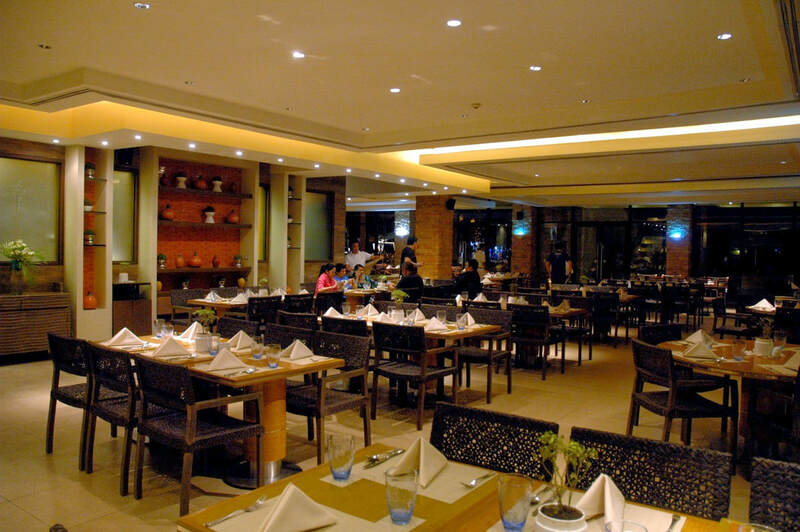 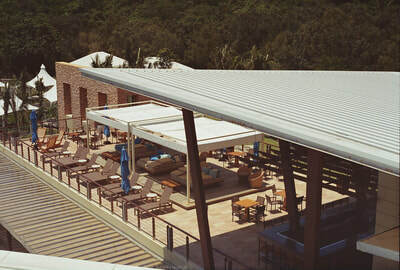 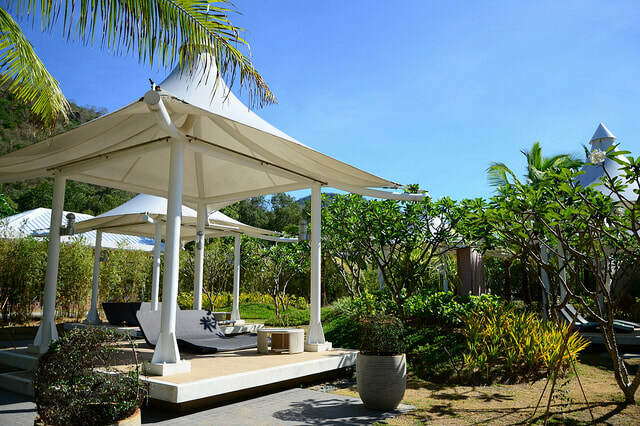 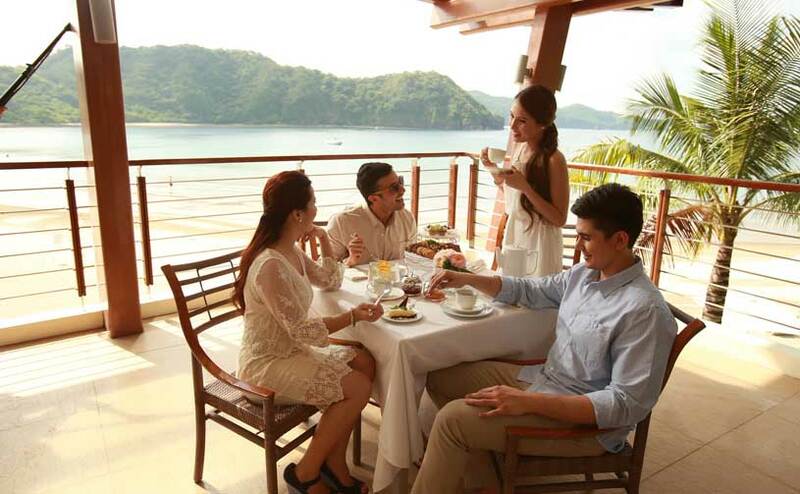 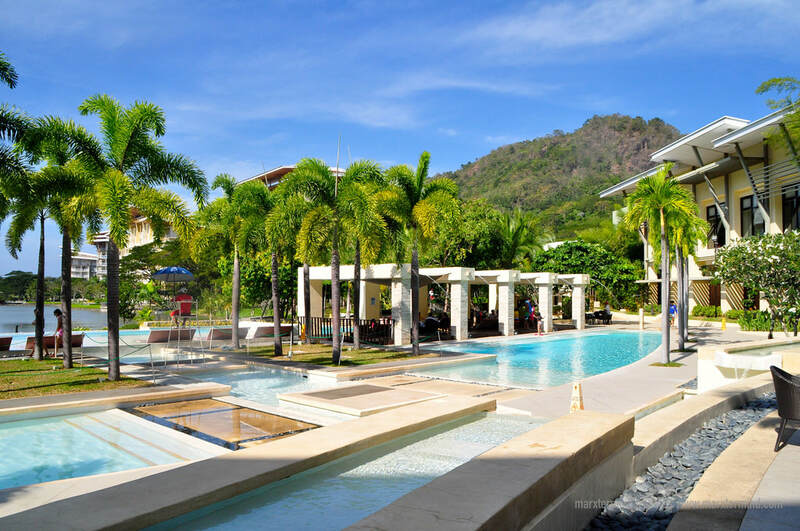 The Beach Club is a more social venue with its coastline, swimming pools near the lobby lounge, and outdoor venues such as the al fresco Brisa Bar where one can sip drinks as the sun sets in Pico de Loro Cove’s horizon. 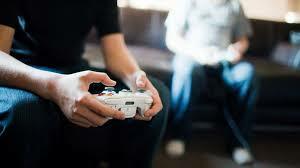 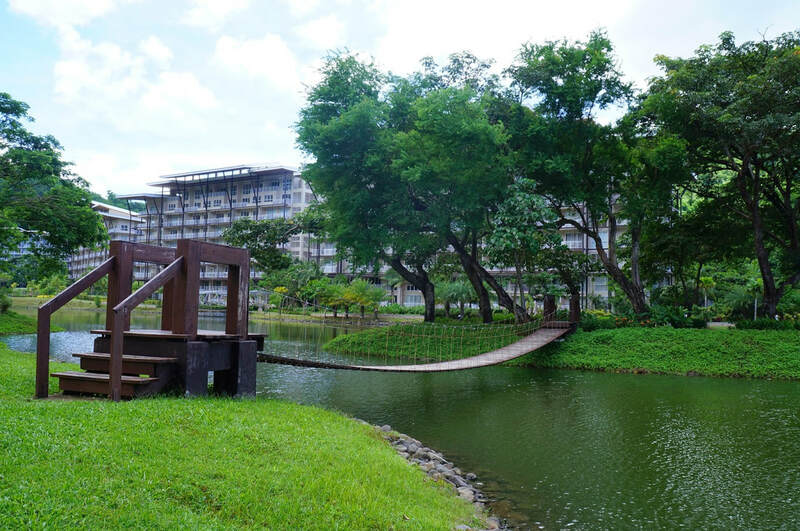 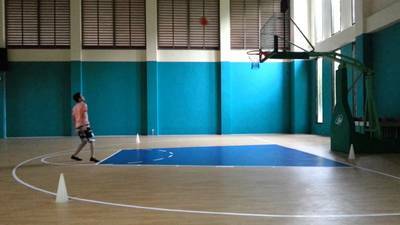 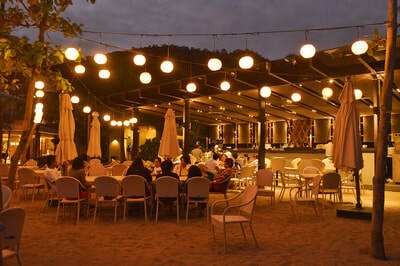 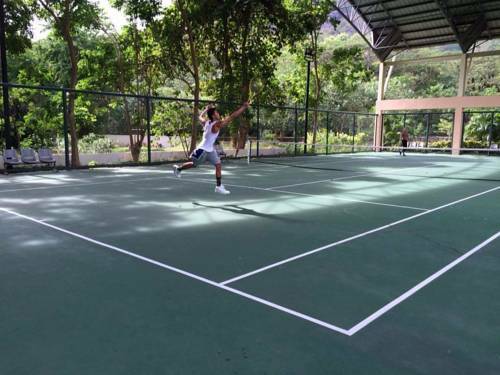 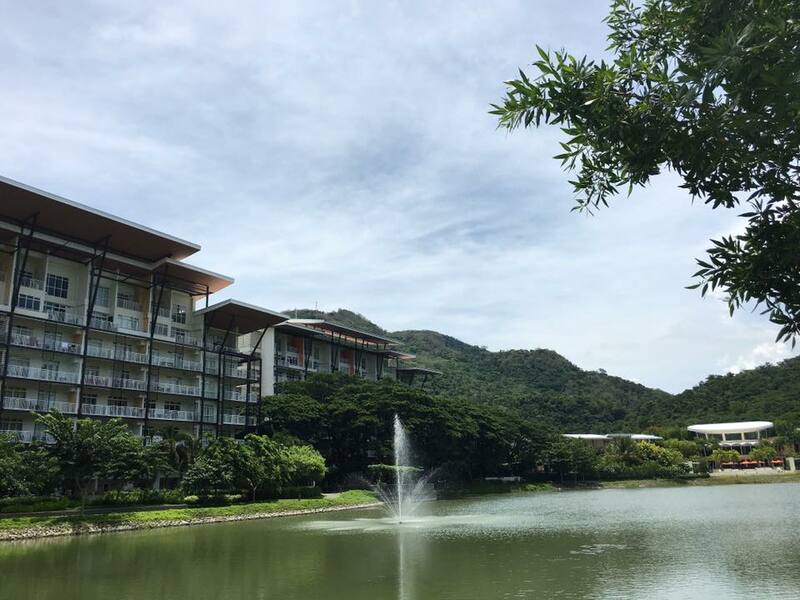 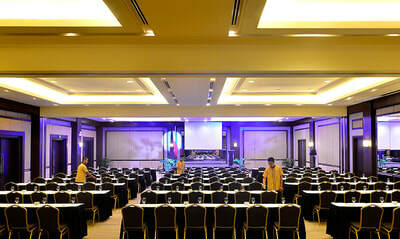 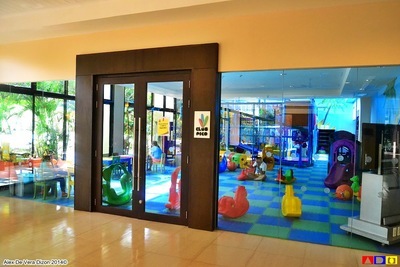 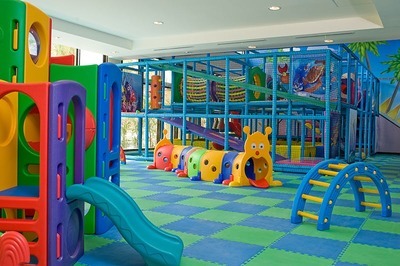 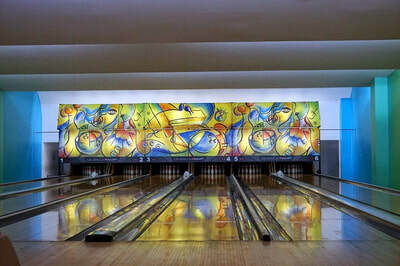 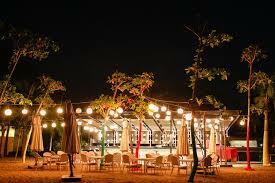 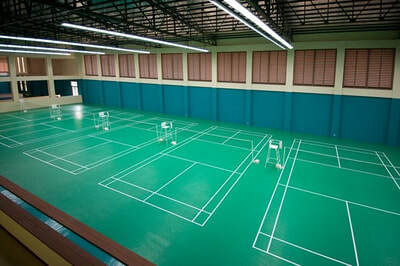 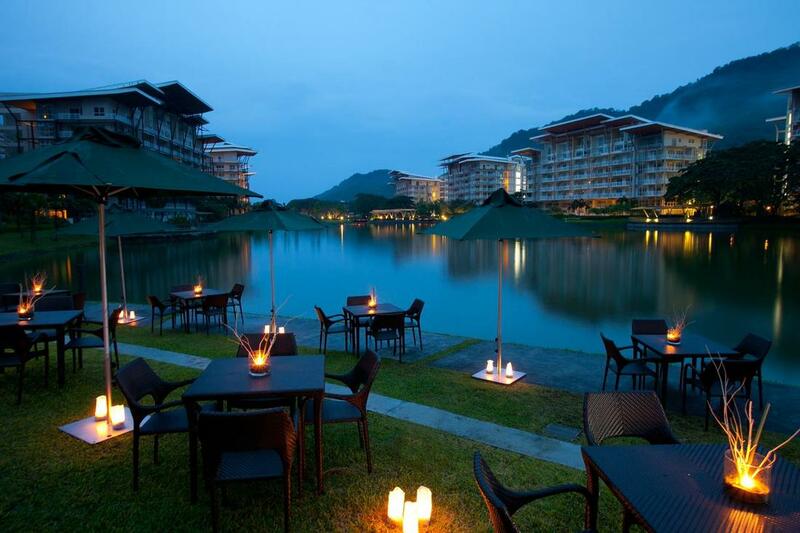 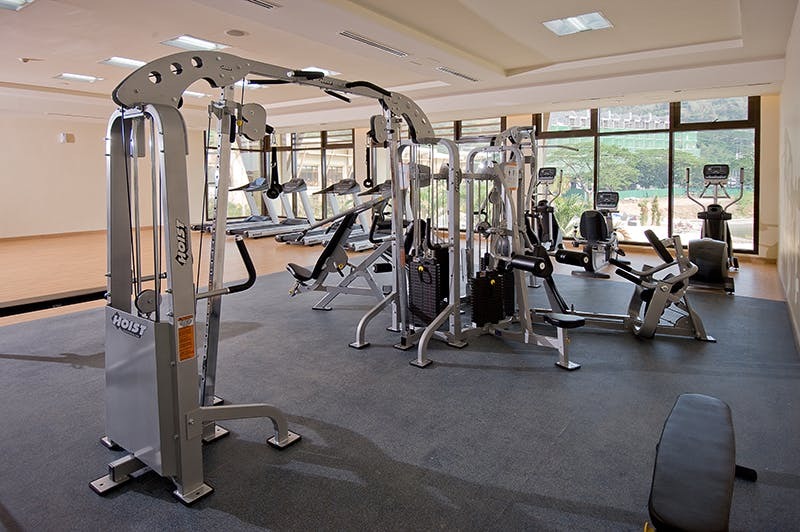 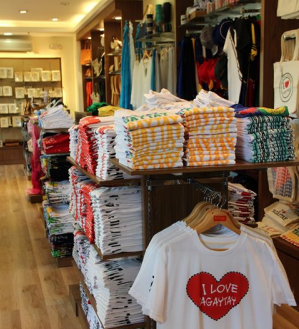 At the Country Club, the usual sports amenities and facilities are set amid spectacular nature views. 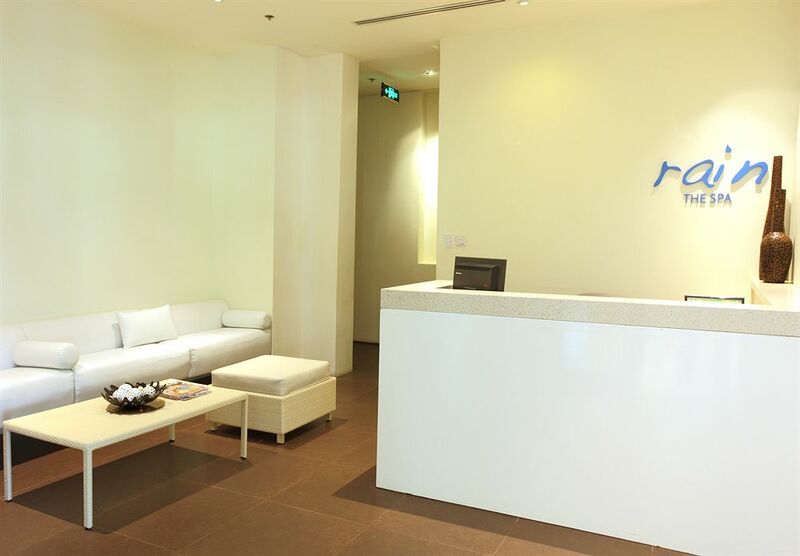 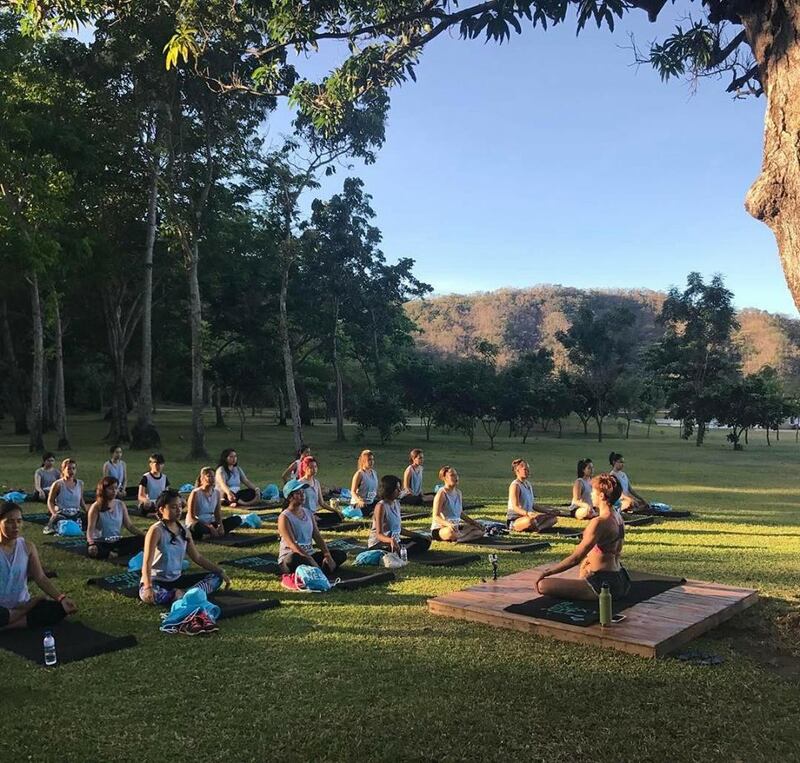 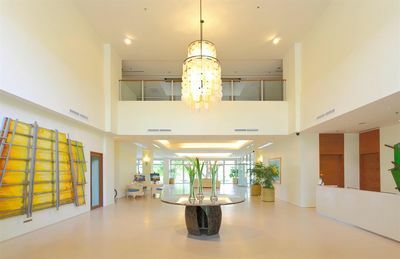 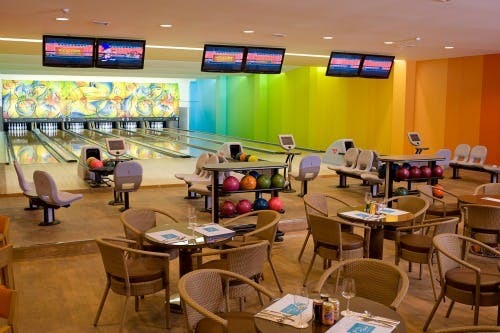 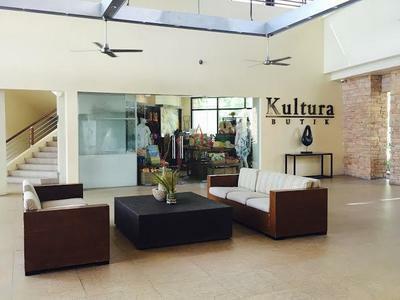 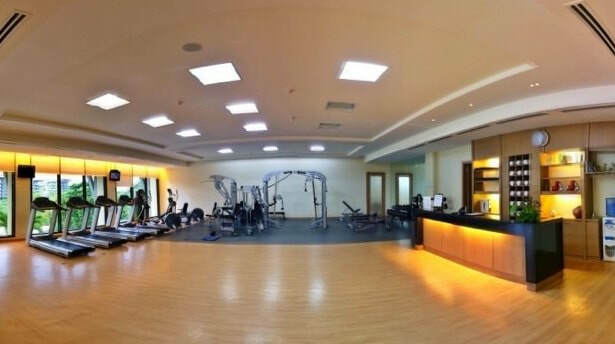 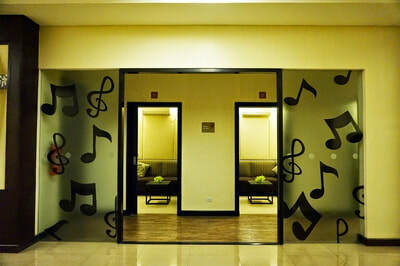 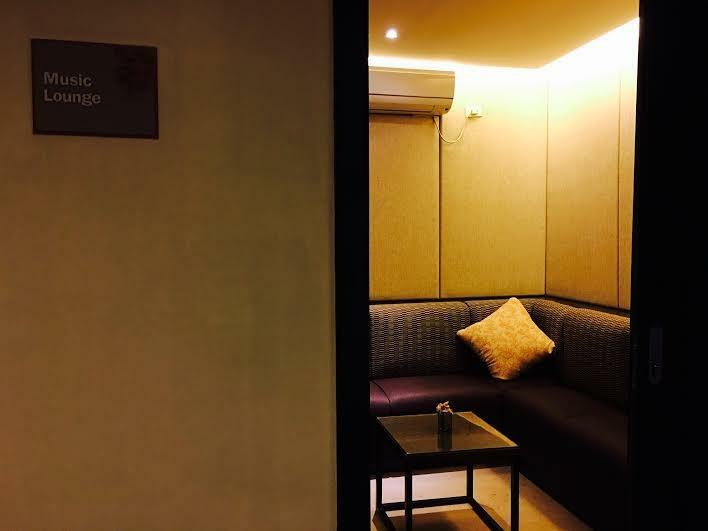 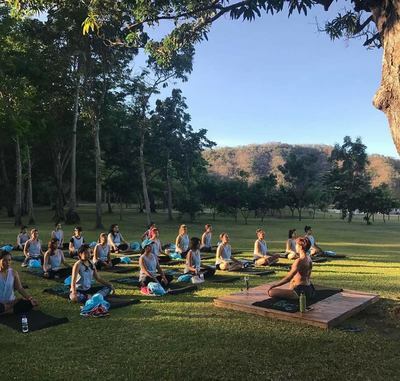 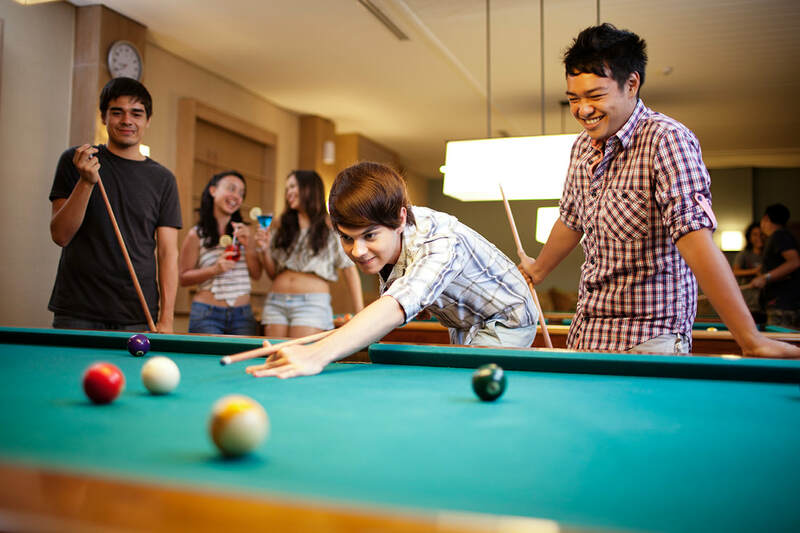 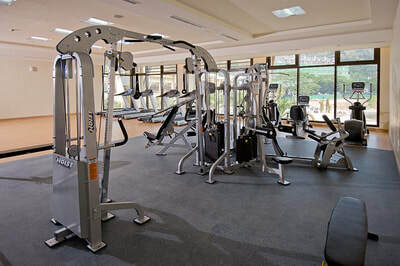 One can engage in racquet sports, work out in a gym overlooking the man-made lagoon, or even have a lively session of karaoke in a private entertainment room with views of the beach. 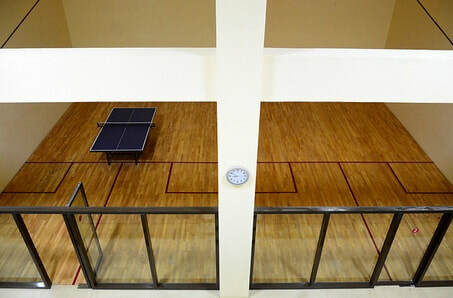 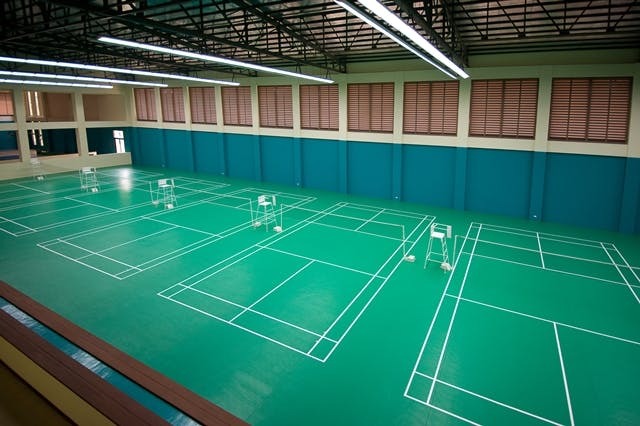 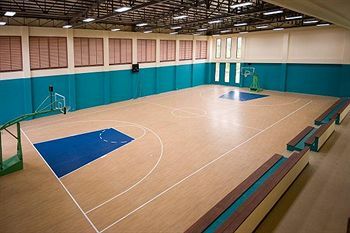 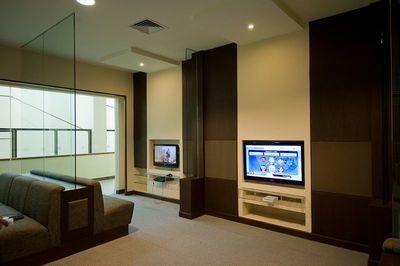 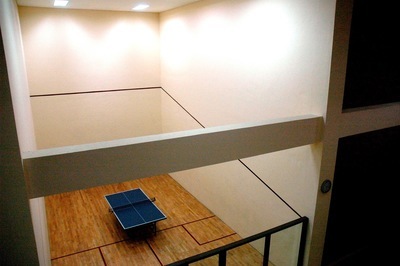 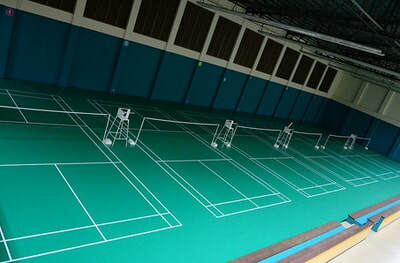 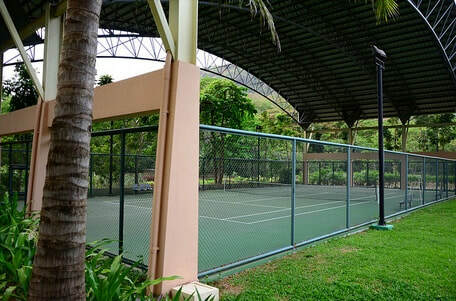 No guest will be left disinterested with the recreational facilities available — six badminton courts, two squash courts, a basketball and a tennis court, six-lane bowling alleys, a ballroom that can accommodate 300 persons, a billiards room, three karaoke rooms, a children’s playground, two family pools, two jacuzzis, two lap pools, a kiddie pool, and secure locker rooms. 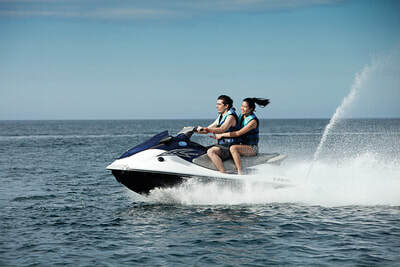 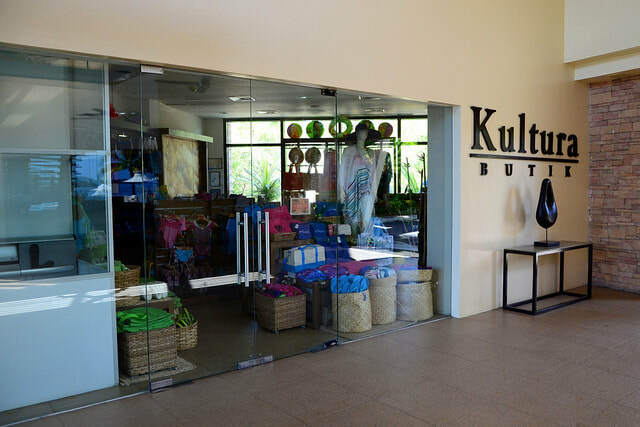 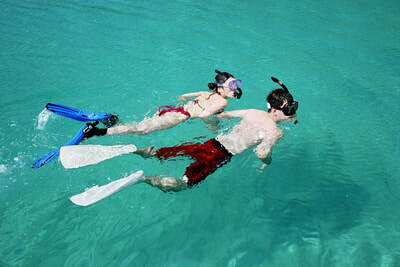 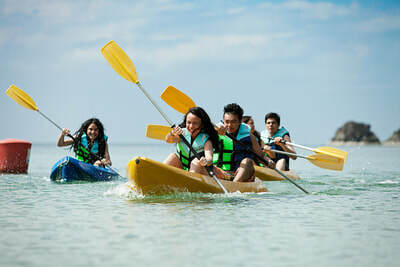 Outdoors, families can enjoy water sports like scuba diving, wind surfing, kayaking, and snorkeling. 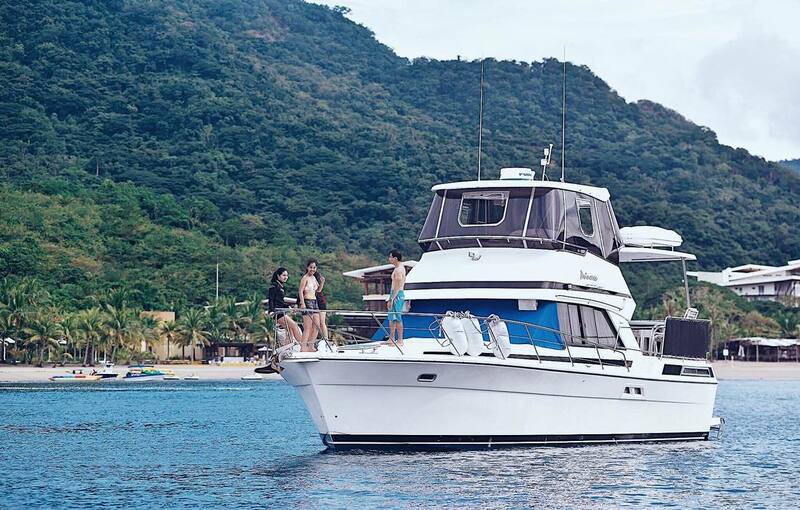 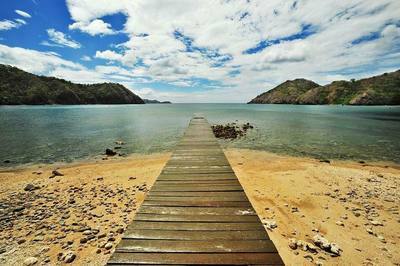 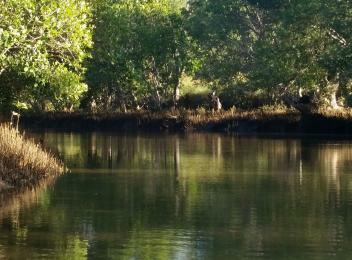 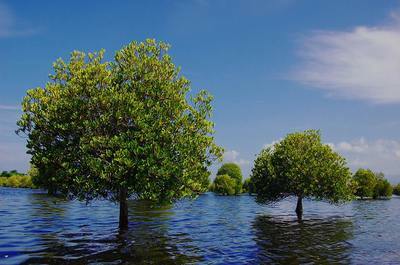 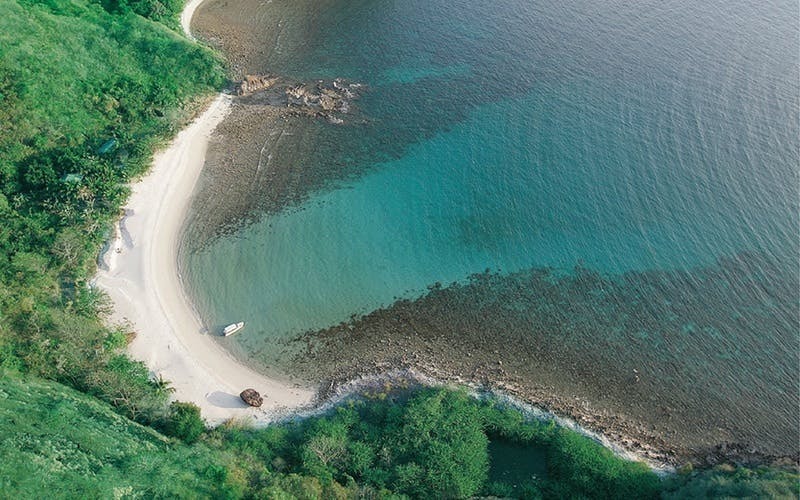 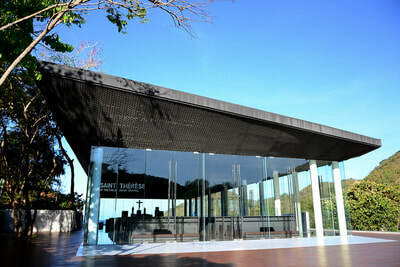 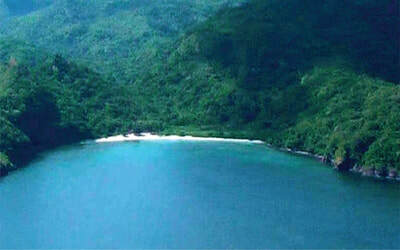 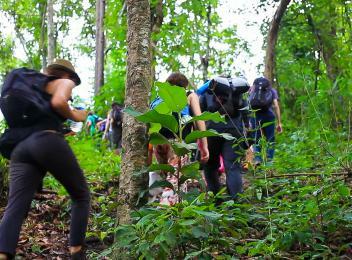 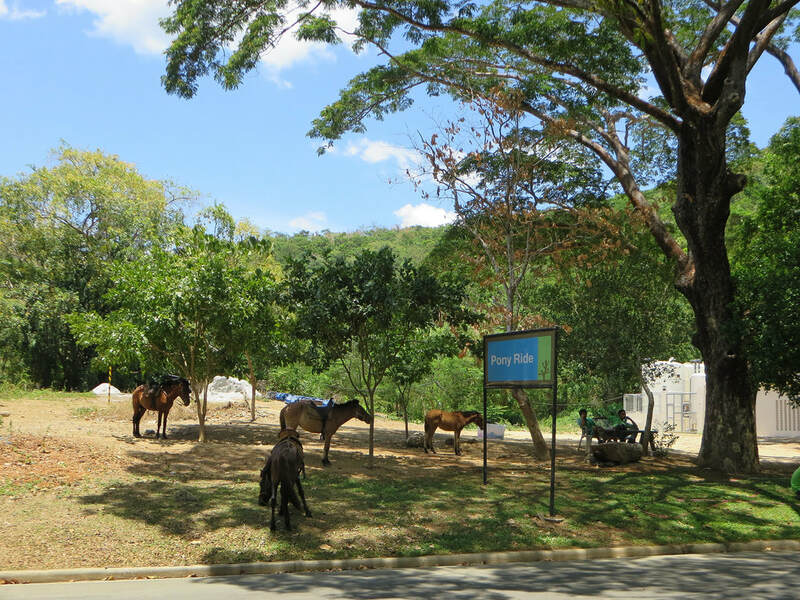 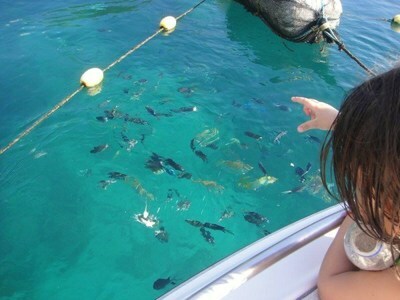 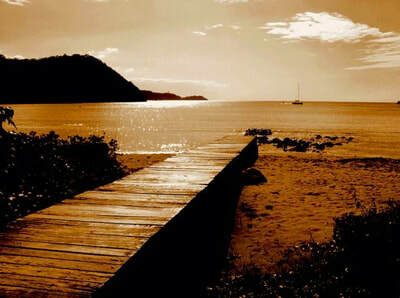 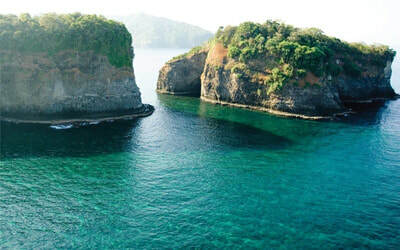 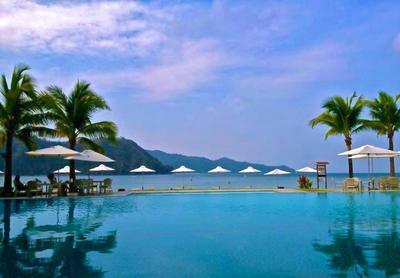 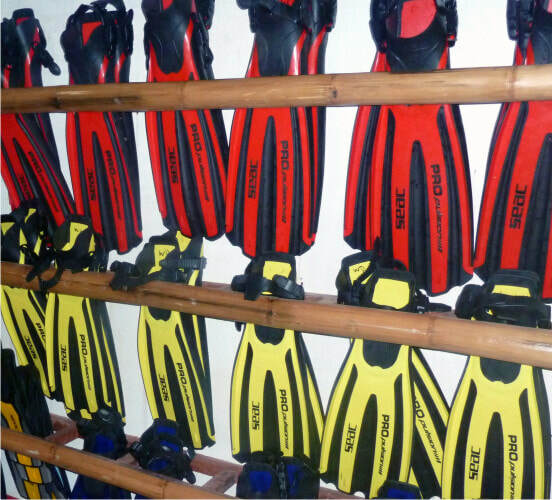 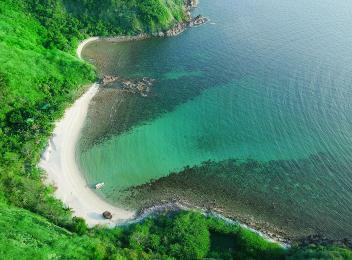 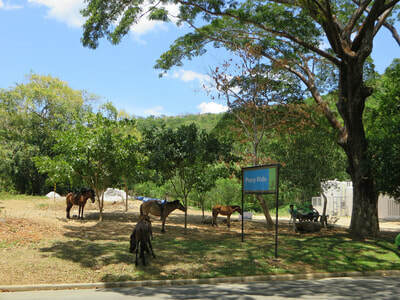 Cove visits, fish feeding, and diving expeditions to some of Hamilo’s marine-protected areas can likewise be arranged. 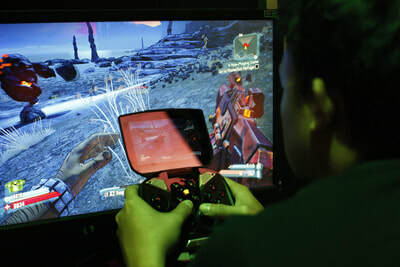 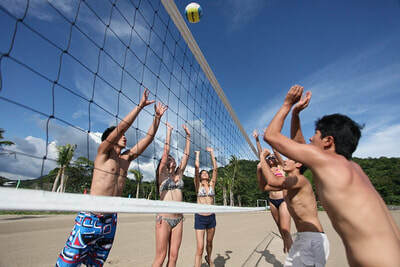 On land, beach volleyball and Frisbee games can be enjoyed at the beachfront. 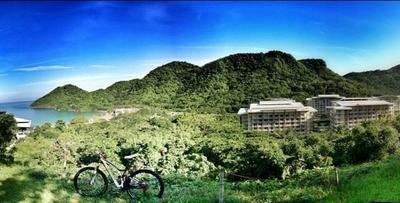 For the more adventurous types, there are bike and mountain trails. 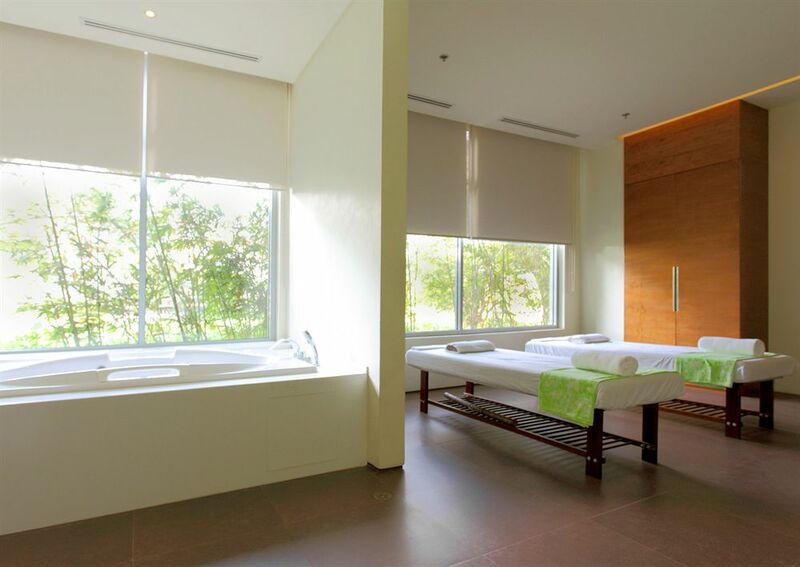 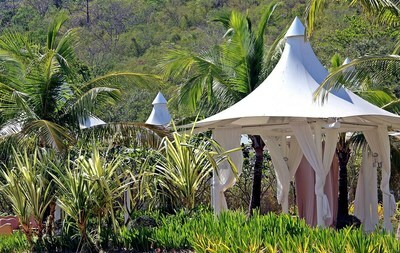 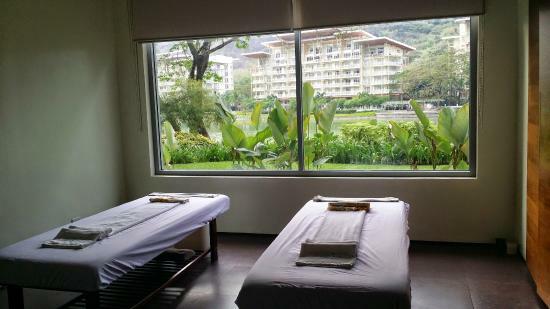 And for those who simply want to indulge in mind and soul pampering, full body massage and treatments are readily available at the club’s outdoor massage tents. 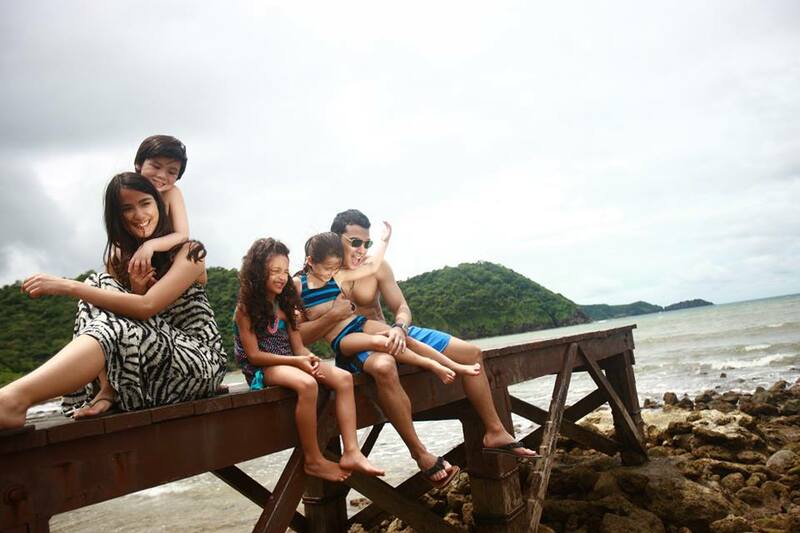 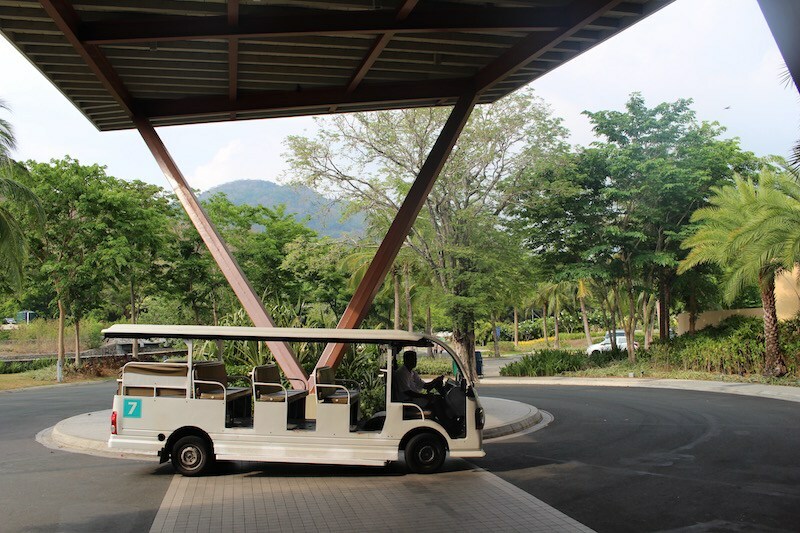 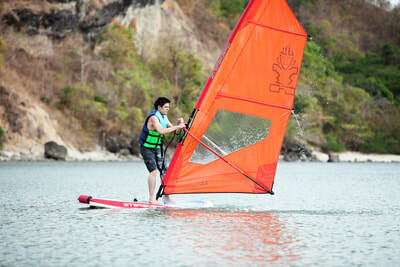 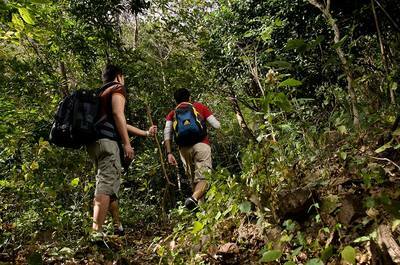 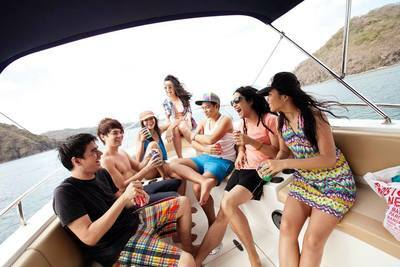 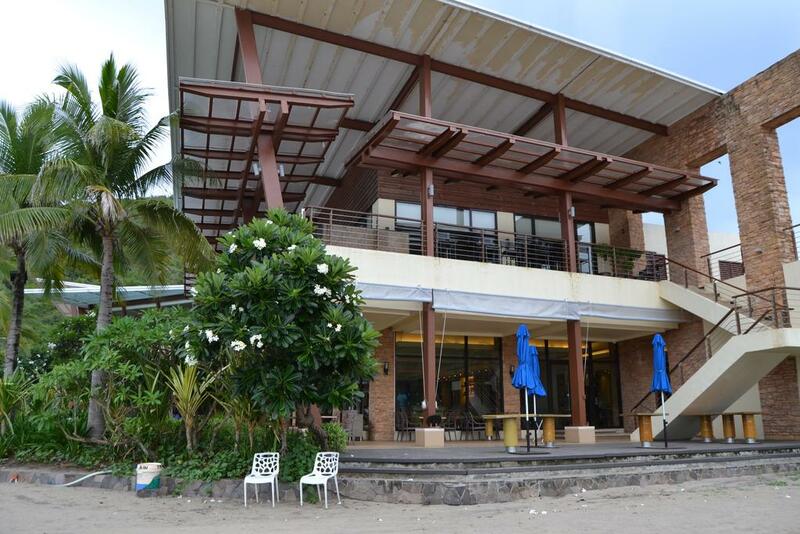 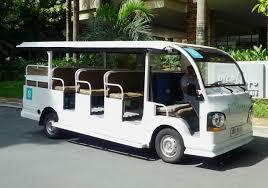 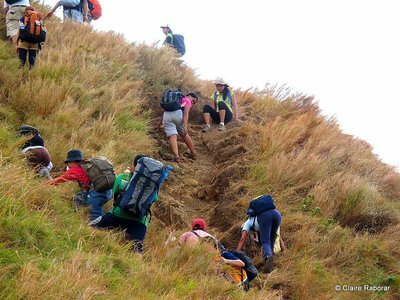 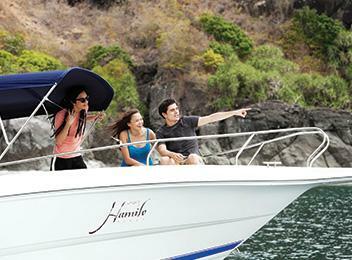 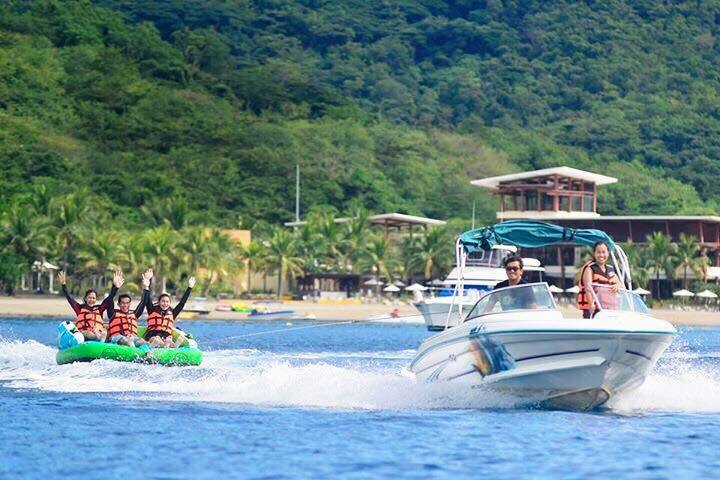 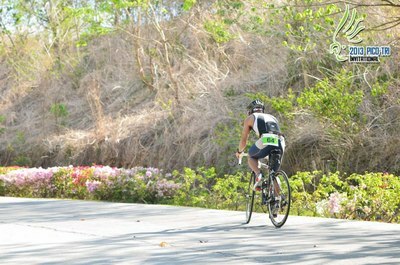 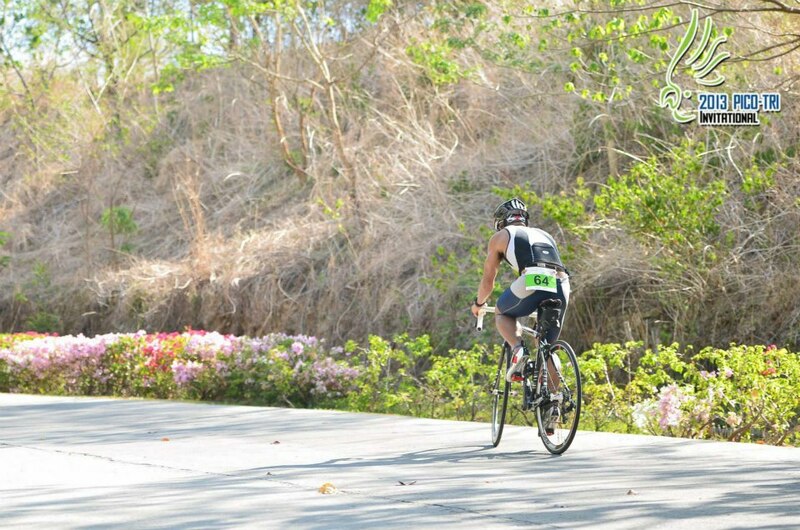 Discover infinite adventures at Hamilo Coast. Go cove hopping, snorkeling, and diving to enjoy its pristine coves. 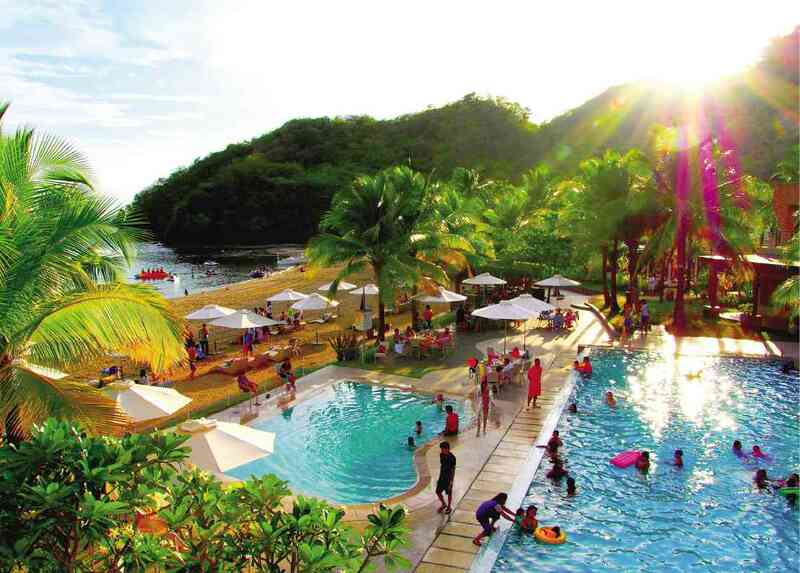 Hamilo Coast's Papaya Cove is home to a 10-hectare mangrove forest, making it the largest mangrove area in Nasugbu, Batangas. 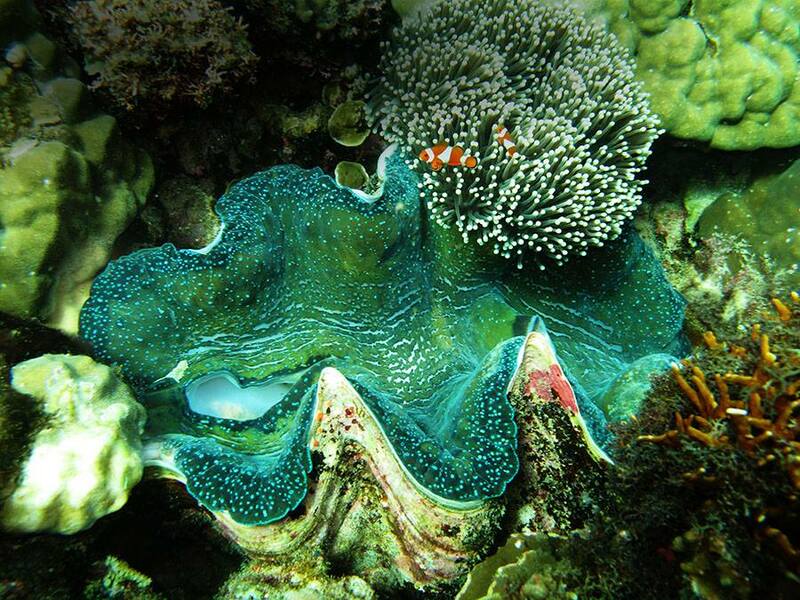 ​Forming part of the vibrant Coral Triangle, Hamilo Coast is also home to true giant clams that contributes to the structure of coral reefs. 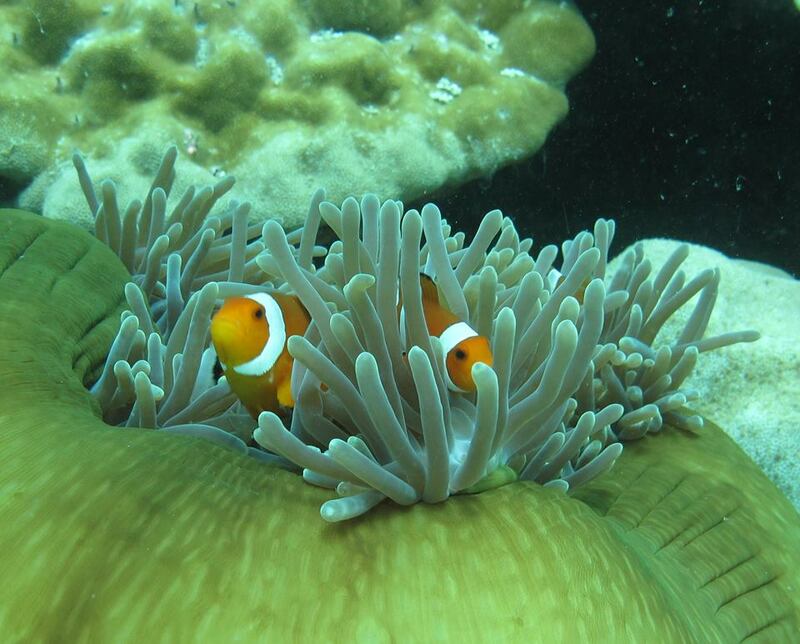 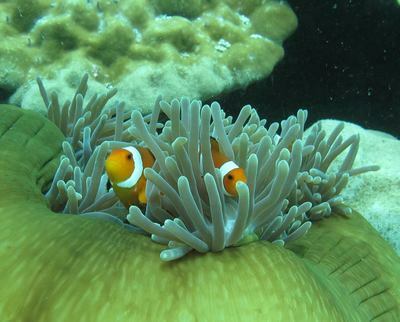 Get to meet the underwater residents that add vibrant color to Hamilo Coast. 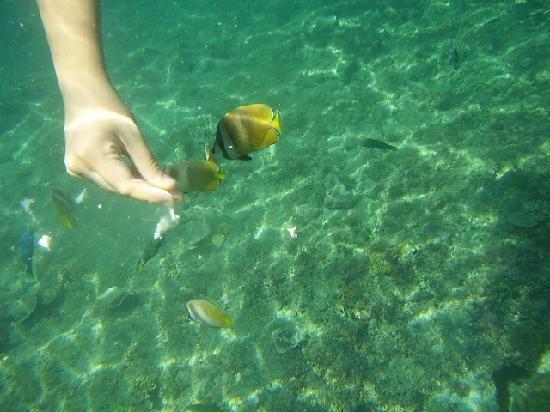 Sign up for fish feeding and snorkeling while touring the coves. 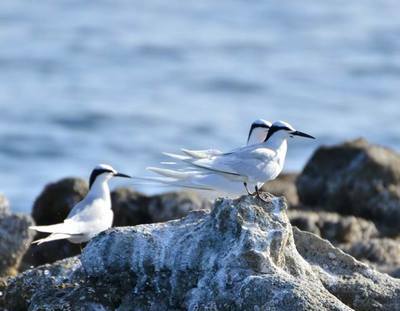 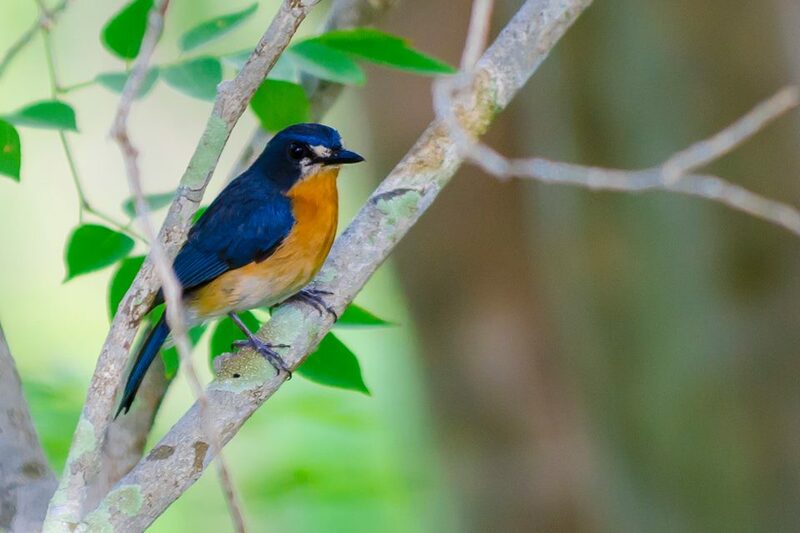 ​Make birdwatching your new hobby and discover the different bird species that can be found at Hamilo Coast. 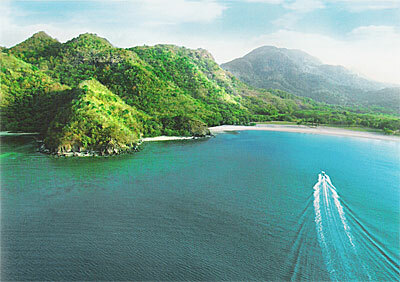 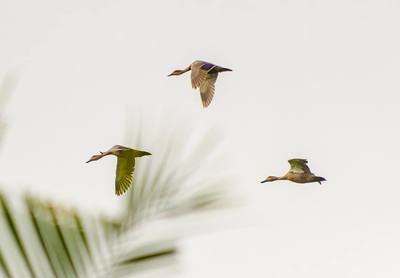 Hamilo Coast is home to over 185 species of birds, making it an ideal birding site. 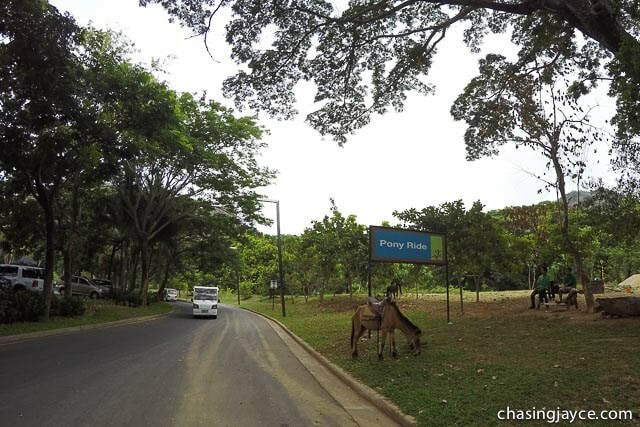 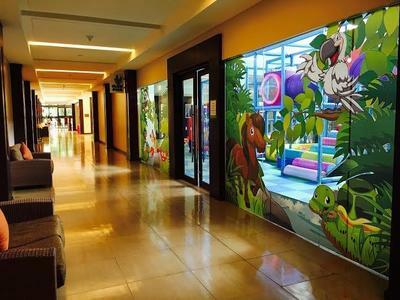 Gaze in awe at the vast fauna you can find while taking a short walk around the resort community.